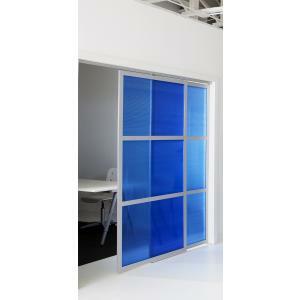 The GLIDE is a modular sliding screen system that can be configured with various color panels and frame options including size. 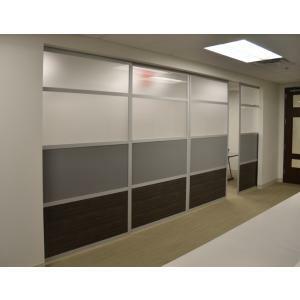 The LOFTwall GLIDE is a modular sliding door/wall system that can have multi overhead tracks to create a space divider/sliding door system that can fit small spaces or be a full wall to slide away. 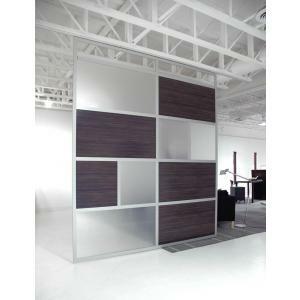 It uses the LOFTwall panel system of aluminum frame and panel inserts. 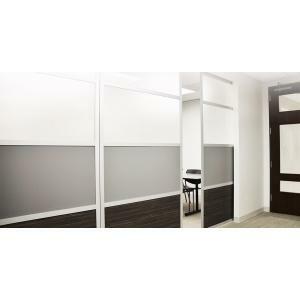 The LOFTwall GLIDE is a modern space divider and is an aesthically clean and professional way to get the right office or space you need. It is quality-made, lightweight, and durable for commercial or home office spaces. It is an overhead mounted sliding screen system that is perfect for doorways, closets, or open spaces. The Glide can be custom quoted for size and configuration. You can use multiple tracks for 1 to 6 sliding panels and stationary panels. The size of space to fill can range from 3 feet to 64 feet. 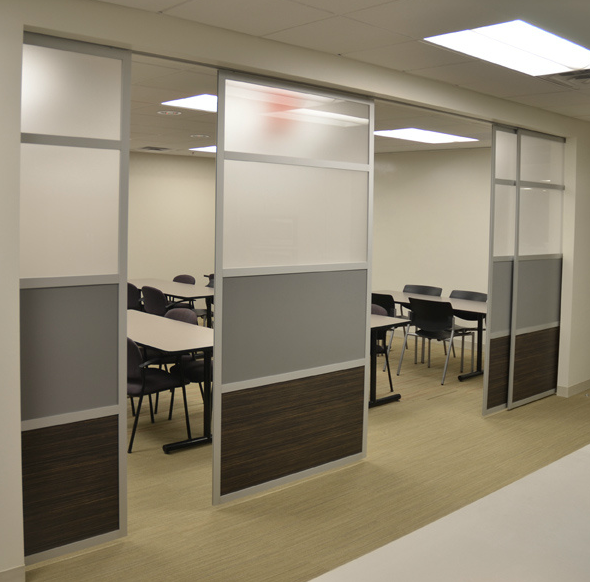 We custom size the panels and configuration to fit your needs. 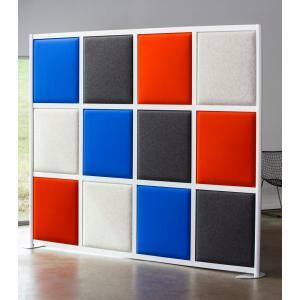 You can choose all the LOFTwall color panels and frame options for GLIDE. 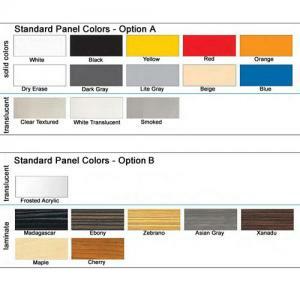 The sturdy aluminum frame comes in a modern anodized aluminum finish of mat silver or custom powdercoated colors. 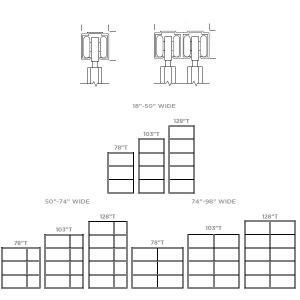 LOFTwall flat packs all their panel systems for efficiency and come with clear and easy assembly guidelines. 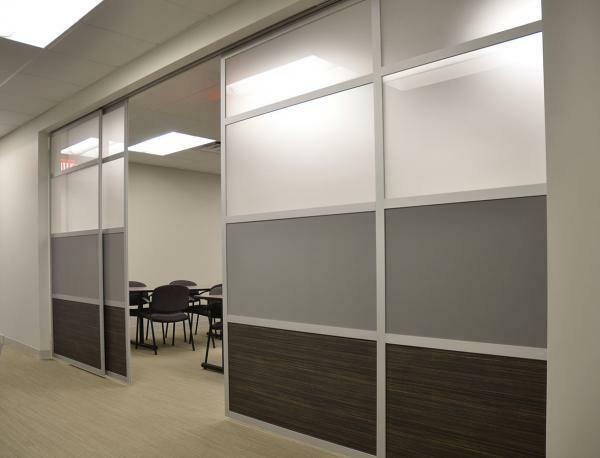 The interlocking panel system goes together quickly and easily and completes a stable and durable wall that is commercial grade. LOFTwall has a green statement and commitment to reducing waste, using green materials, and manufacturing dividers in the USA as efficiently as possible. See the whole LOFTwall collection to explore the possibilities!